Coyote sightings aren’t uncommon in Southern California, though no one expects to cross a member of the canid family whilst walking around the perimeter of Dana Point Harbor. 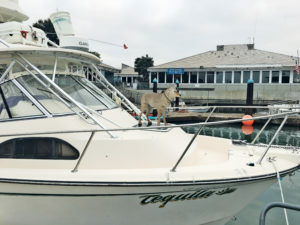 Four fake coyotes, however, stand tall on aboard Tequila. Perhaps each “Capt. Coyote” serves as a bit of a scarecrow – though whether the plastic canid acts as a successful deterrent is unknown. Either way, the presence of something like “Capt. Coyote” is a testament of the boating world’s colorful and interesting lifestyle. The initial photo published in The Log‘s print version showed only one fake coyote on the bow. However three more “scarecrow” coyotes were added aboard Tequila since. 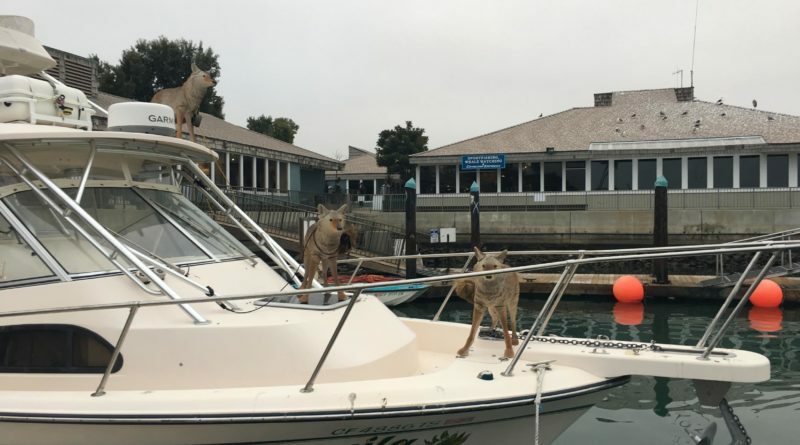 Three of the four fake coyotes are on display in our most recent photo – with the fourth coyote strategically played farther back on the vessel.